• Pump Up the Volume. • Adjust and Re-route Audio. • Record to All Major Formats. • Time Shift Your Audio. 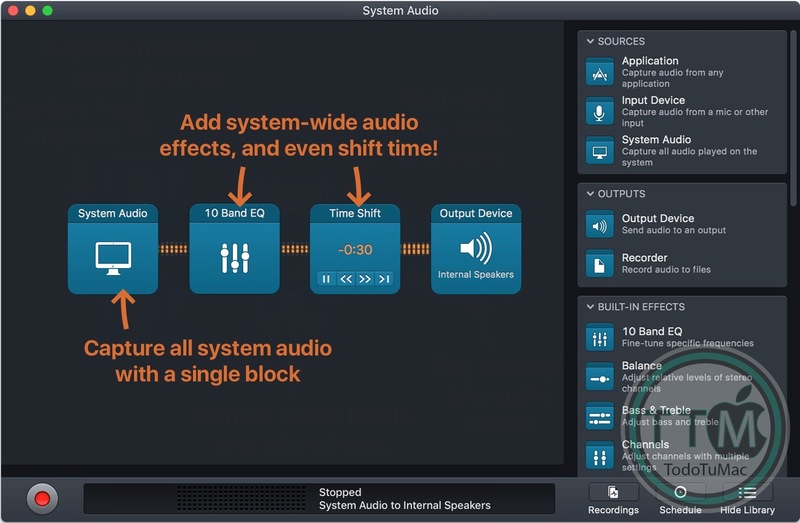 • Audio Hijack now offers a brand-new Broadcast output block. 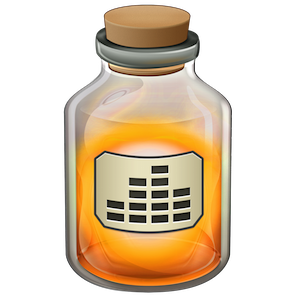 With Broadcast, you can stream to an internet radio server in MP3 or AAC formats. 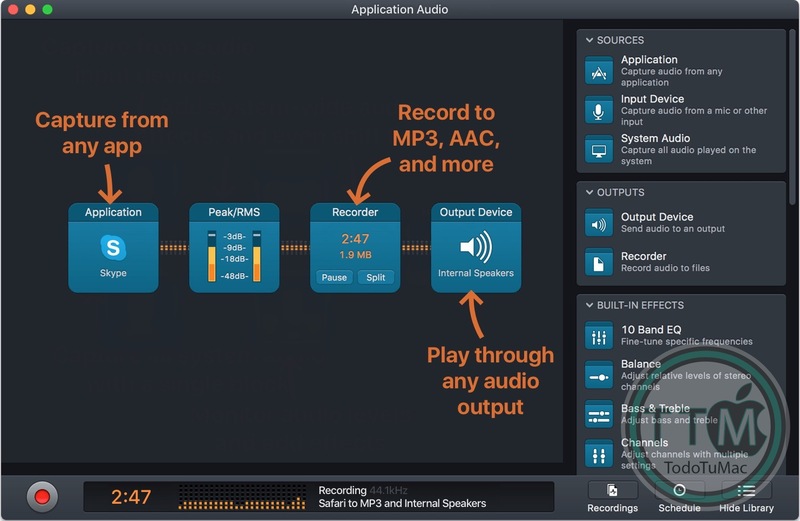 It's perfect for running livecasts of podcast recordings, as well as powering internet radio streams, and livestreaming DJ sets. • Audio Hijack also has a new Input Switch block, which allows you to toggle between two different audio sources with a quick click. •The Template Chooser now includes a new “Internet Radio” template, perfect for getting started broadcasting audio with Audio Hijack. 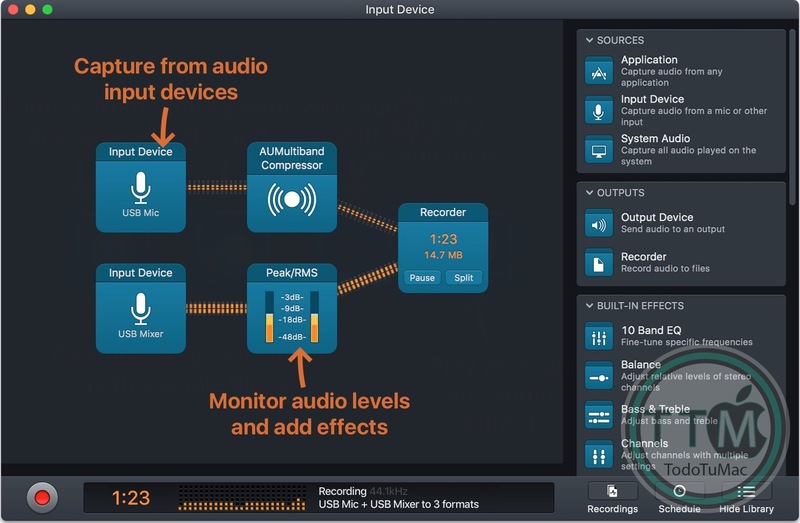 •The Audio Capture Engine (ACE) has been updated to 9.0.4, which includes several small improvements.